Carnac already had me convinced that Brittany was one of the most beautiful and interesting areas of France so we decided to explore a little more. Brocéliande Forest, also known as Paimpont Forest, is an area of exceptional beauty about 18 miles west of the city of Rennes. 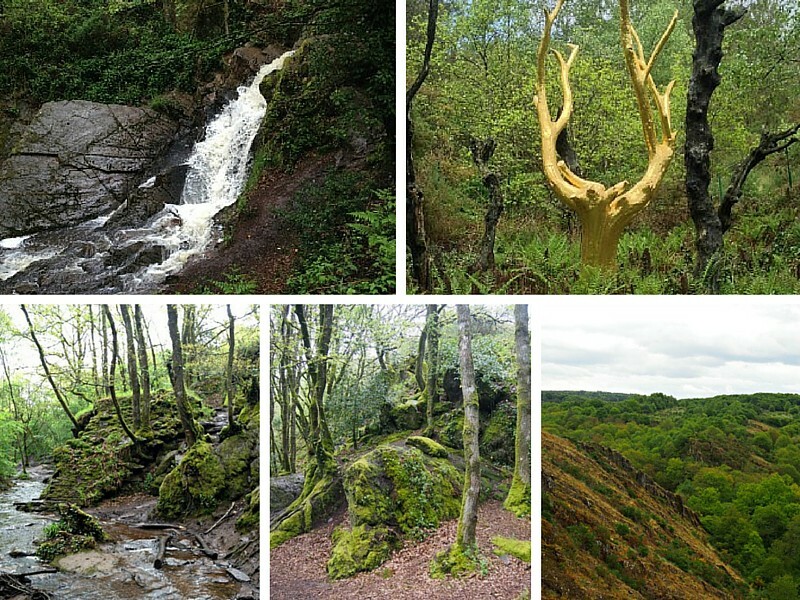 The forest covers 25 square miles and has several sites associated with the legends of King Arthur. Near the hamlet of Folle Pensée (crazy thought), is a trail through the woods that will lead you to the fountain. It is an easy circular walk down a well marked trail. In some legends, this is the spot where Merlin the Magician first met Vivian (also called Nimue in some of the stories). The water is said to have healing powers, in particular the ability to cure mental illness. The water is quite pure and cold, so you may want to bring an empty water bottle with you. Next to the spring is a large stone slab called Perron de Merlin. Legend says that if water from the sping is sprinkled on this stone, it will bring about a thunderstorm but beware as it is aslo said that doing so will awaken the Black Knight, the guardian of the spring. Château de Comper near Concoret, France. 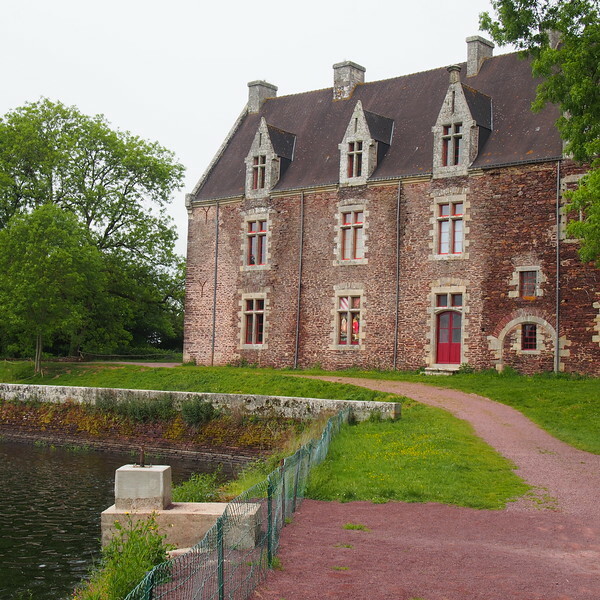 If you are not familiar with the legends of Merlin and Viviane, Château de Comper makes an excellent place to start your visit to Broceliande Forest as there is an exhibition and short film that will get you up to speed quickly. Check the schedule on their website as it is best to go on a day when they are hosting an event (music performances, storytelling). The lake behind the chateau is where Merlin is said to have built a crystal palace for Viviane, hidden beneath the waters. If you can read French, the chateau’s bookshop has an impressive variety of books on Arthurian legends, fairies, and Breton legends. My husband had to drag me away for fear how many books I wanted to buy. Near Paimpont is a megalithic site that is now called Merlin’s Tomb. While there is no evidence that anyone is buried there, it is well worth visiting. 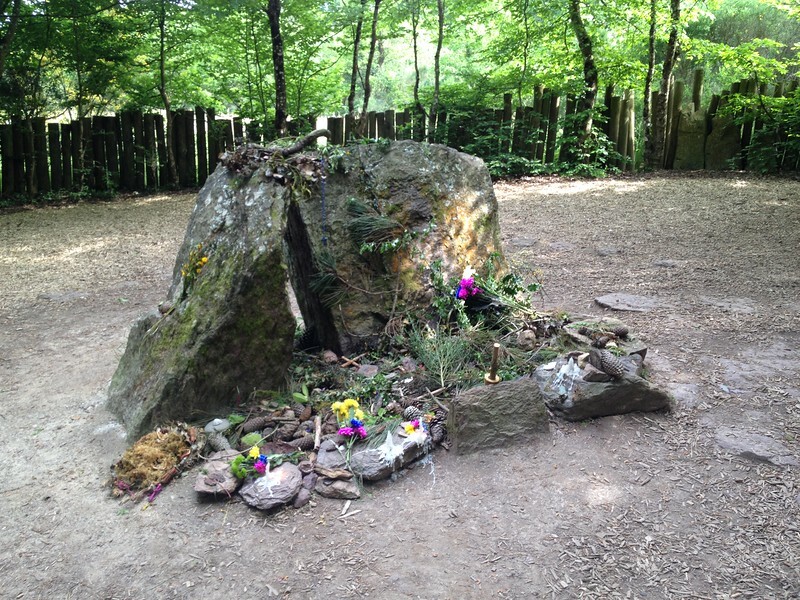 The site is decorated with flowers and candles left in tribute to the legendary Merlin and perhaps because of this directed energy has a very magical feel. Nearby is a spring called Fontaine de Jouvence (Fountain of Youth), sometimes also called Vivian’s Well. The spring is not as crystal clear as the Fountain of Barenton and you might want to skip having a sip. 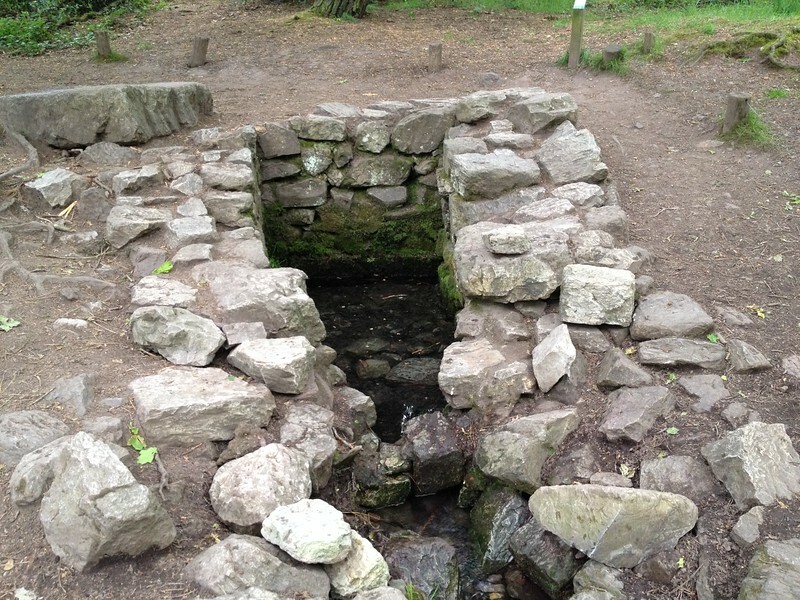 This was however an important site for the Celts as they had their children baptised here on the Summer Solstice. Perhaps this is how the spring came to be associated with youth. Sampling the local cider and beer in Paimpont. Before or after your visit to Merlin’s Tomb, you will want to visit the town of Paimpont. Visit the 12th century abbey overlooking a lake. 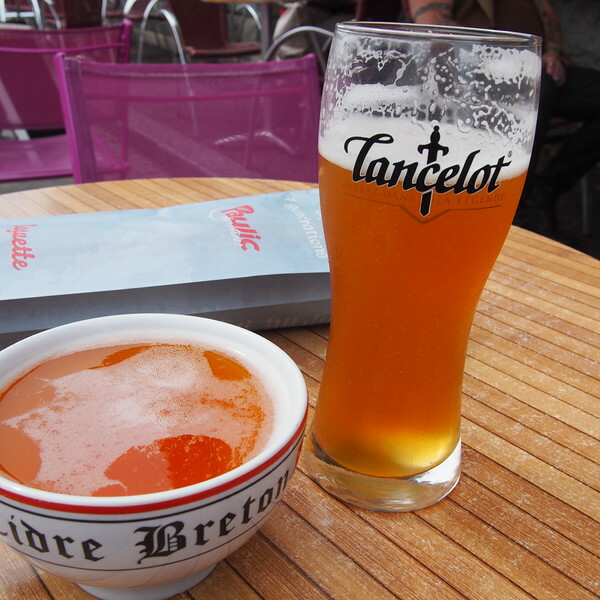 Stop in Le Brecilien cafe for a local cider or a Lancelot beer. The main street is filled with little shops selling crystals, small statues of fairies and korrigans, goblets and daggers. The Eglise du Graal (Church of the Grail) is located in the tiny town of Tréhorenteuc. It is very near the Valley of No Return, another site associated with Arthurian legend so it is worth a stop if you are going to the Valley. The church is located next to the tourism office. 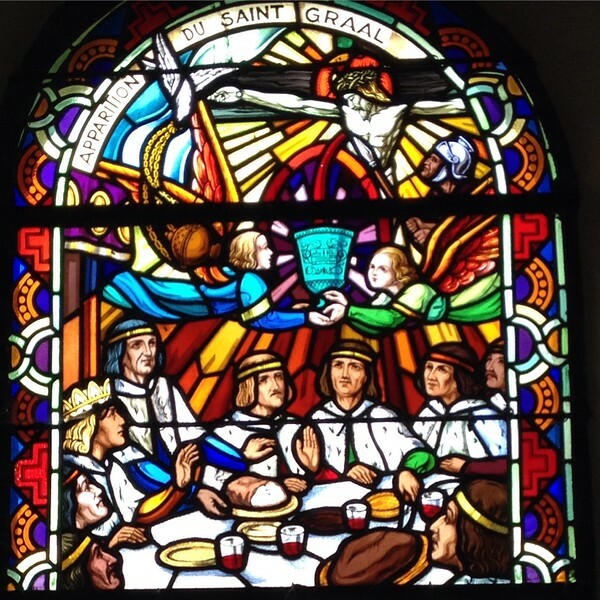 The local priest commissioned the Grail themed stained glass windows during WW2, partly in an attempt to increase tourism in the area. The church’s courtyard seems to attract some interesting characters. While we were there there was a small group meditating while another young man appeared to be having a vision. In legend, the Valley of No Return was the place where Morgan la Fey imprisoned her unfaithful lovers. In reality, the area now called Val sans Retour is one of the most beautiful areas I have ever seen. Bring old shoes as the paths can get very muddy. It is not a difficult walk but is probably unsuitable for very small children unless you are carrying them in a sling or back carrier. To be honest, my photos just don’t do this area justice. I loved this forest so much that I spent several hours browsing real estate sites to find out if I could find a small cottage near it. There was so much more that I did not get a chance to see, that I plan to return next summer. 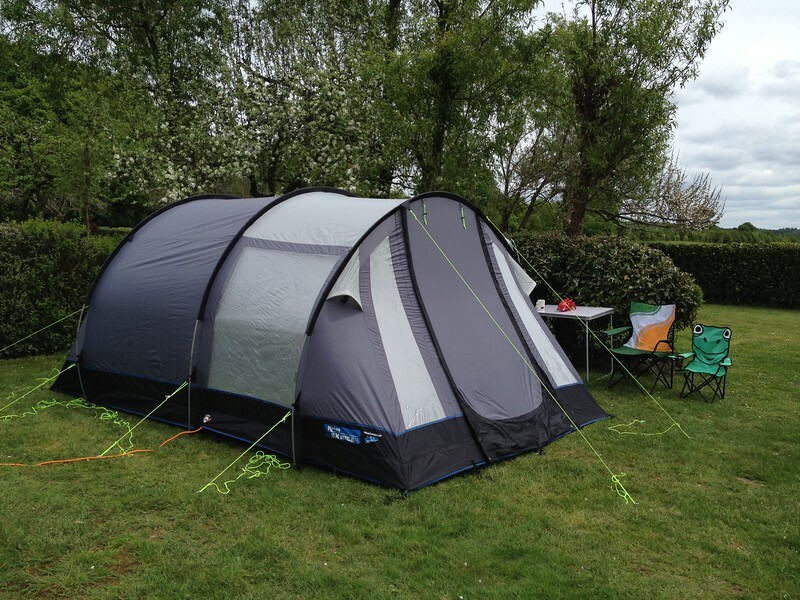 Camping La Vallee du Ninian is one of the prettiest campsites we have come across. In mid-May, the soft grass is littered with apple blossoms and the weather is cool and pleasant. The campsite is close to the towns of Josselin and Ploërmel. I recommend going in to Josselin if you need groceries (there is a large Super U) or if you want to go out to eat.